Amidst preparations for holding Damascus International Fair in the first week of September, Syrian Army has carried out intensive strikes on terrorists’ gatherings in the northern countryside of Hama and the southern countryside of Idlib causing heavy losses to the terrorists and their equipment. According to official SANA news agency’s reporter in Hama, the army’s artillery bombarded fortified positions of the so called “Jaish al-Ezza” in the area surrounding Maarkaba in the northern countryside of Hama province, killing scores of terrorists. Army’s raids also targeted terrorist groups affiliated to Jabhat al-Nusra on four towns and a number of villages along the south-eastern border of Idlib where large number terrorists were bussed in from Raqqa, Aleppo, Eastern Al-Ghouta, Sweida and other rareas. There are reports that the terrorists were enhancing their sites through digging trenches, building barriers and planting IEDs for protecting themselves from Syrian army. SANA reports that a number of terrorists’ fortified positions were destroyed due to the raids in addition to killing and injuring of many terrorists. Meanwhile in the recently liberated Sweida province, adjacent to Israeli occupied Golan Heights, Syrian Army continued to close in on Daesh (ISIS) terrorists in al-Safa hills area in the eastern badiya (desert) of Sweida, destroying their hideouts and inflicting heavy losses upon them. Moreover, Syrian army with the backing of supporting forces, continued its operations in the areas al-Rahba, Tal al-Ghanem, Oum Marzakh, and Qabr al-Sheikh Hussein in the direction of al-Safa hills, closing in on the remaining Daesh terrorists. 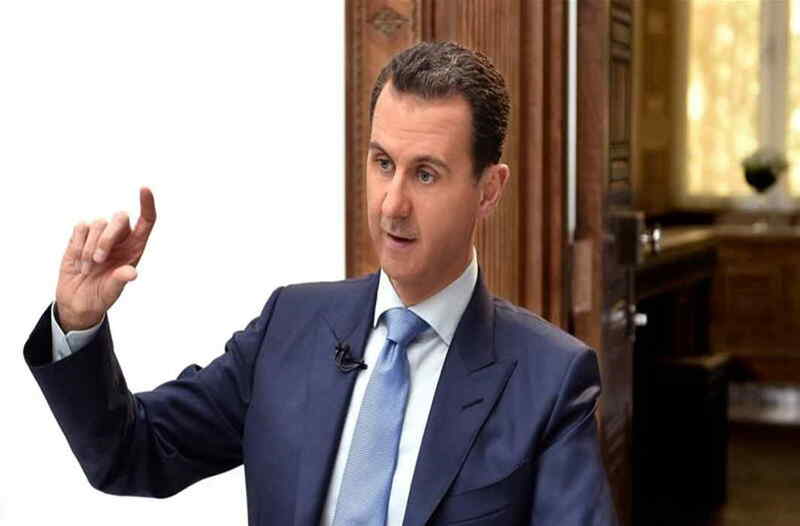 Syrian government have been alleging several Arab new networks, including Qatar based Aljazeera and Saudi Arabia based Al-Arabia from the beginning of the war in 2011 for supporting anti-regime forces including Daesh, Jabhat-al-Nusra and others. Obviously, Aljazeera’s “internally displaced opposition” indicates presence of terror groups in Idlib. Syria is hosting Damascus International Fair from September 5 to 16, where over 30 Indian companies, including infrastructure development, heavy machinery and pharmaceutical industry are participating. Other major participating countries are Russia, Belarus, Lebanon, Iran and Iraq.